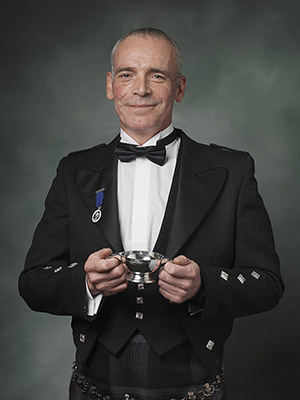 A man who helped bring two Scotch distilleries back to life has been given one of the highest accolades in Scotch whisky by being named a ‘Keeper of the Quaich’. Stewart Buchanan, brother of the wildlife cameraman Gordon Buchanan, is well-known in the Scotch industry for his role in resurrecting BenRiach distillery in 2004 after production had halted at the historic Speyside distillery. Stewart was so dedicated that he slept on the floor of BenRiach’s maltings while he worked to strip down and rebuild every piece of equipment to prepare it for production. Only a small number of people are nominated as ‘Keepers of the Quaich’ for showing extraordinary dedication to and passion for Scotch.